Flooring options: Which is Best for my Rental Property? What are the best flooring options for your rental home? Wood, vinyl, carpet, tile…The list goes on. What type of flooring will rent your property faster? What flooring will last the longest? Are you considering changing or upgrading the flooring in your rental property? There are many choices available and deciding what’s best for your investment while also considering what residents like can be challenging. Here are the pros and cons from Real Property Management experts for the most popular types of flooring so you can make the best decision for your investment. When choosing a carpet for your rental property, make sure you aren’t going with the cheapest product. Though you may save money initially, you will end up only getting 1-2 years of life out of the product rather than a nicer product which can give 5-7 years of usable life. Carpet is considered a non-permanent flooring, which has a depreciation life of only 5 years for tax purposes. It is the most common type of flooring used in rentals as it is easy to replace. Pro – Easy to install and inexpensive to replace. Con- Shows wear easily and must be cleaned between residents. Should be replaced should be every 5-7 years. 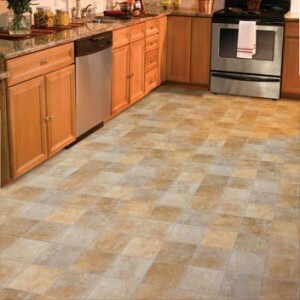 Tile is common in geographic areas where there is high humidity and moisture. It is a great option in these markets because of its durability and lifespan. 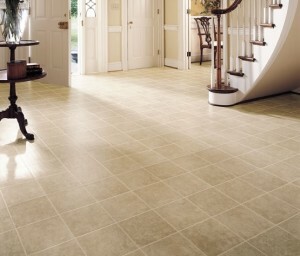 Keep in mind that tile flooring is not maintenance-free. Tile will periodically need to be re-grouted and resealed. It is also not indestructible. If a tile is cracked or broken by a resident, you can charge them for the replacement of that tile, but if you are no longer able to purchase a tile that matches and the entire floor needs to be redone you will have to front that cost on your own. It is best to have extra tiles on hand so that patching is possible down the road. Pro – Long lasting, durable and easy to maintain. Con– Expensive to install, must be re-grouted and sealed periodically. Wood can be a wonderful flooring material if you are installing it in an area where moisture is not an issue and you take the time to make sure it is done properly. As a natural material, wood expands and contracts during different seasons. Make sure that the flooring is installed with its movement in mind. It is also recommended that you purchase a real hard wood rather than a plywood core and a veneer. The reason for this is refinishing. The thicker the layer of real wood is, the more times you can refinish the product. In a rental property this may be necessary more frequently than in an owner occupied home. Prefinished products are going to give you the most durable finish, but no wood floor is indestructible. Pro – Increases property’s appeal since it’s considered an upgrade to most residents. Con– Expensive to install and hard to repair just a portion if damaged. Some home owners are using laminate as an alternative to hardwood. It’s cheaper up front, but is it better? 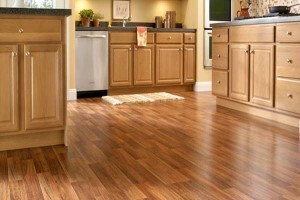 There are three main things to consider when looking at laminate flooring. First, how even is the subfloor that you are putting it on top of? 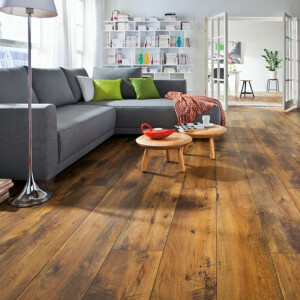 Laminate flooring is not forgiving, if anything it tends to accentuate any imperfections in the floor beneath it. If you have a lot of uneven surfaces, humps, or dips this may not be a good option for you. Second, there is a huge difference in quality from product to product. I would recommend commercial grade laminate floor with a lifetime warranty. Be careful though, some of the lifetime warranties are nil and void if you have a renter. Third, the install on laminate flooring is important. Like wood, laminate expands and contracts; if there isn’t anywhere for the wood to go it will bind, bubble, and break. While some installers will try to convince you that laminate flooring is ok in a kitchen and bathroom, it is not forgiving with water damage. Pro – Less expensive to install, considered an upgrade to renters, looks like wood. Con – Prone to water damage, hard to patch a section if damaged. Vinyl flooring has been around forever, why is that? Its durable, waterproof, and easy to maintain. There is no sealing or grouting required and it is inexpensive to replace when it gets damaged or old. If it’s so great, why don’t more homeowners use it? Vinyl flooring has the reputation of looking cheap and dated so some residents may be turned off if you have it in your rental. Vinyl flooring is commonly used in bathrooms, kitchens, and basements but I would definitely use it in areas prone to water leakage. Pro – Durable, water proof, good on uneven surfaces. Inexpensive and easy to install. 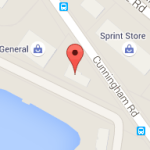 Con – Considered cheap to most renters. Entire surface must be replaced if damaged.